We told them what we think and so did our founders. Standing up for things we believe. Here is our CEO Amol Sarva on PBS Nightly Business Report talking jobs and robots and the future of the economy. Check it out from around minute 20. Watch Knotel’s founders Amol Sarva & Edward Shenderovich discuss Knotel and the future of workspaces. Headquarters as a Service is on the march. 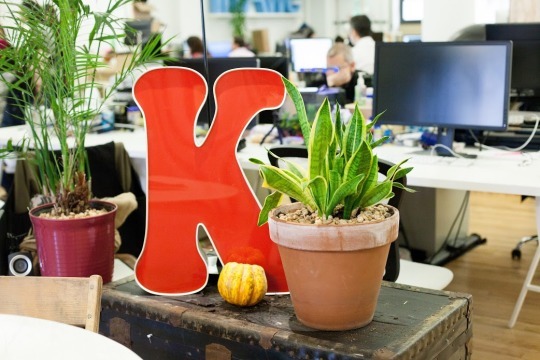 Big news in Knotel world. We’re now open with ten buildings, 1000s of people moving through Knotels every day, some big internal milestones on financials and growth, and today we released the news of an important financing round – a $25mm series A led by great investors. We started out as a hobby more or less, a place to run our other companies and host our friends companies. And by 2015 we realized we were on to something important. It’s just about a year later now and we have proven to ourselves and a community of companies, team, and investors that there is a huge market for what we do. 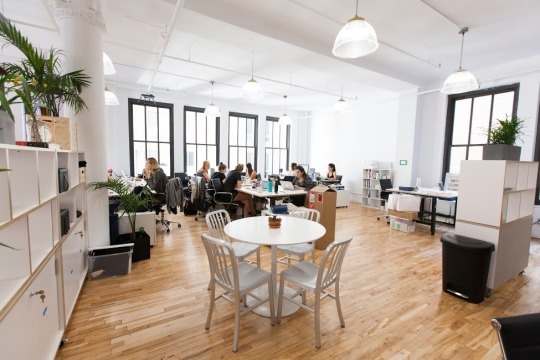 Companies can’t live their life in coworking, but they also shouldn’t tolerate the annoying lifecycle of real estate “business as usual” with leases and the rest. Here’s a logo and some lovely pictures too. 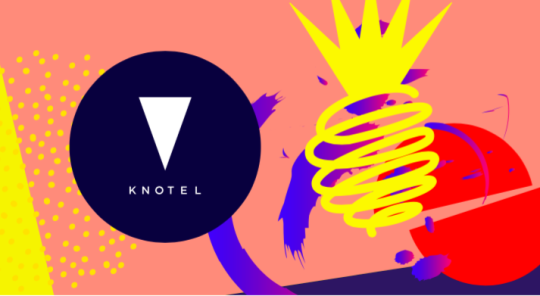 Have a look at Knotel.com for more on our latest culture-coded locations that are spreading all around town. 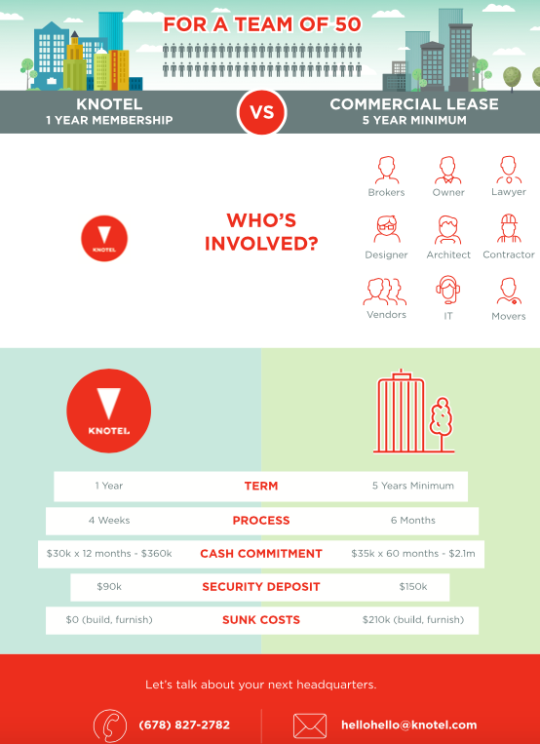 If you are a building owner, you might consider partnering with us and drop a line here. Knotel is proud to have joined 100 technology companies – including the likes of Google, Apple, and Facebook – in filing an amicus brief against the President’s Muslim Ban – targeting people from several mostly Muslim countries, including the most vulnerable refugees. 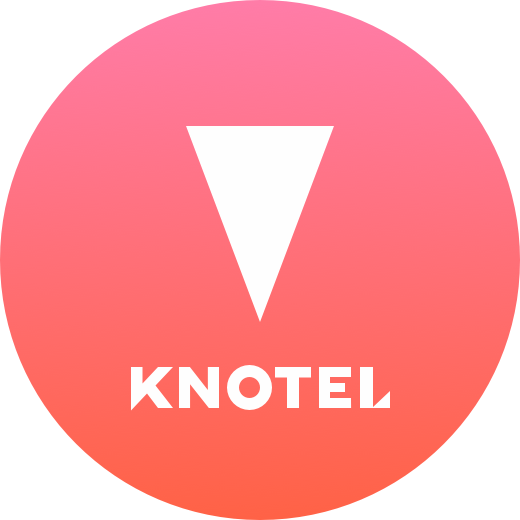 As a business-based in New York, with Knotels a few steps from Ground Zero, operating headquarters for companies founded and staffed by immigrants including from affected countries – Knotel is, in no uncertain terms, against this order. The ban, along with other executive orders issued or in the works by President Trump – like the rollback of foreign work visa and parole programs – are against the values of openness, opportunity, and humanity that we stand for, against good sense on security, and are bad for business. Without immigrants, Knotel, along with the New York tech community, wouldn’t be the rich, thriving hub of innovation it is today. 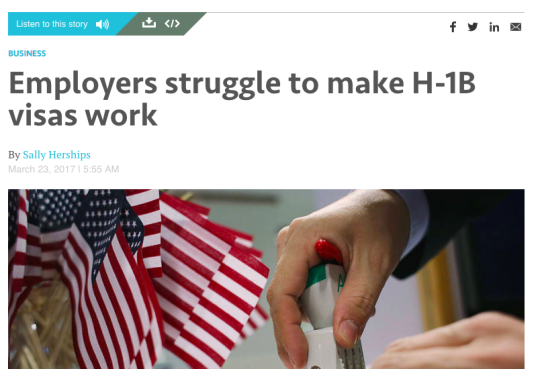 Many of our own employees and community of entrepreneurs are legal immigrants on foreign work-visas who are building game-changing companies across borders. 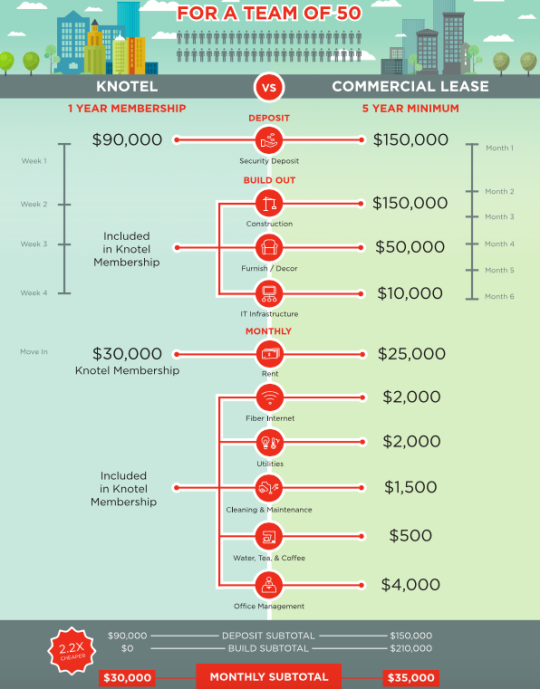 Virtually every single company at Knotel is led by or staffed by either foreign-born or Muslim entrepreneurs and technologists. We want to continue to attract such talent to both Knotel and the American tech sector that has risen to global prominence so far, thanks to our industry’s foundation on meritocracy. At Knotel, we’re not only sending the Trump administration a strong message about these issues, we’re part of a movement in the tech community to continue discussion and action to ensure a safe and robust economy for anyone with the smarts, skills, and the drive to realize their dreams. We signed the Tech:NYC letter along with thousands of leaders last week, chartered a bus for our members and staff to DC for the Women’s March, have provided a platform for concerned citizens to meet and organize to protect America, and today have joined an impressive group of companies arguing for what’s right in the amicus brief. Our series on inspiring founders continue, this time with an exception, featuring a Knotel partner – Julian Jost of SpaceBase. As a former strategy consultant, Julian spent three years sitting through monotonous and unproductive meetings. He was so bored that he co-founded Spacebase, so that he’d never have to waste time in another boring meeting again. Spacebase enables companies to easily and transparently book unique meeting locations, host creative workshops and events, and save valuable time while organizing. The platform is home to over 2,000 spaces in more than 30 cities across the globe. 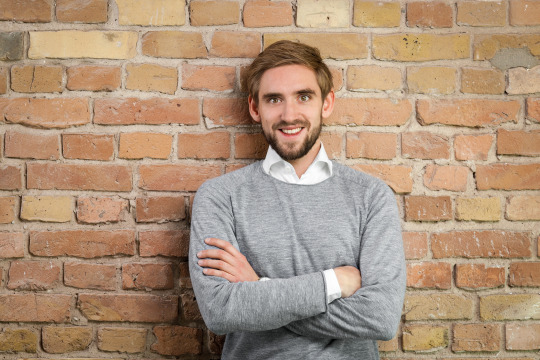 Since launching in 2014, the Berlin-based startup has become one of the top contenders for booking online meeting locations worldwide. On November 1, 2016, Spacebase launched in New York, making over 200 workshop venues across New York City and Brooklyn available for booking on the platform. Jost’s passion combined with his sharp entrepreneurial skill makes him a force to be reckoned with as he continues to innovate and shake off the dusty cobwebs of the meeting and event industry. Book your next meeting at Knotel with SpaceBase here.